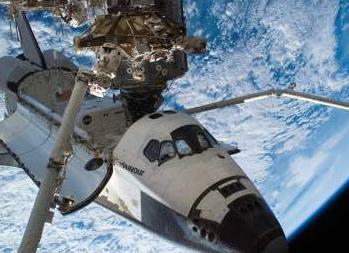 The unprecedented effort to haul a space vehicle through the cramped streets of the United States’ third-largest city has been all-but completed as engineers from Los Angeles, NASA, and the California Science Center undertook the monumental task of navigating Space Shuttle orbiter Endeavour to her final resting place at the California Science Center. For months, engineers from NASA, the California Science Center (CSC), and the city of Los Angeles have been making preparations for the difficult task of maneuvering Endeavour safely through the streets of LA. Of primary concern is not only Endeavour’s safety as she is moved through the open city streets, but also in preserving her condition as an intact icon of space program history. Unlike the move of her test-article sister Enterprise, which was damage in a collision with a bridge during her transportation to the Intrepid Air, Sea, and Space Museum in New York City, countless efforts have been taken in Los Angeles to ensure that NASA’s youngest orbiter arrives at her final destination in pristine condition. For the last several months, engineers have meticulously measured and re-measured street corners, light posts, electrical and telephone wires, and tree heights to obtain accurate clearance data for Endeavour’s wings and tail along a well-planned route spanning 12-miles from Los Angeles International Airport to the CSC. Riding atop a specially-built, multi-wheeled vehicle capable of turning each wheel in a different direction (relative to the other wheels) to help make the tight turns that leave as little as six (6) inches of clearance at her wings, nose, and aft, Endeavour traversed the South LA landscape over the weekend. During the journey, Endeavour served as the backdrop for several public events before arriving at the California Science Center on Sunday, 14 October. Once at the CSC, Endeavour will be towed into her temporary pavilion on the north-west side of the science center where she will be placed on public display. By 2017, the CSC hopes to have a permanent structure built for Endeavour, one that will allow her to be displayed in full-up launch configuration: mated to a mock External Tank and Solid Rocket Booster set. But it is at the California Science Center that she will forever remain. She will be a testament to a great age of spaceflight, a testament to a program and a workforce that never succumbed to adversity or hardship, and, as we all desire, a symbol of hope and inspiration to a new generation that endeavors to continue the dream and legacy set forth by Space Shuttle Endeavour. Space Shuttle Endeavour is a monument to Human ingenuity – to our ability to look past tragedy and see the potential in ourselves to seek, to strive, to yearn for more. 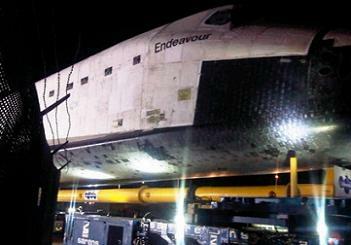 For 19 years, Endeavour served her nation and the world community with dignity. She conducted 25 missions of scientific curiosity and discovery, strengthened the bonds of friendship between nations, built an ever-lasting legacy to science and engineering in Earth orbit, and inspired countless millions with her graceful launches to and ballets with the International Space Station. Born from a national tragedy, Space Shuttle Endeavour set numerous records during her maiden voyage of exploration on STS-49. Endeavour’s grand entrance to the world of spaceflight marked the first and only time a Space Shuttle vehicle conducted her maiden voyage from Pad 39B at the Kennedy Space Center – a fitting, full-circle tribute to her sister Challenger which inaugurated the use of Pad-B for the Shuttle Program on what was her ill-fated STS-51L mission: the mission from which Endeavour was born. 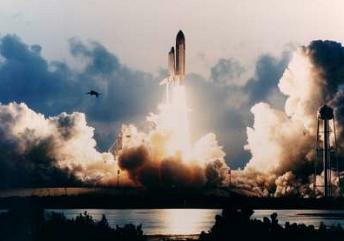 Endeavour’s launch from Pad-B on STS-49 marked the first of nine firsts/records she set during her maiden voyage. Tasked with capturing, repairing, and then re-releasing the stranded Intelsat VI satellite, a total of three EVAs (spacewalks) were required to actually capture the satellite. 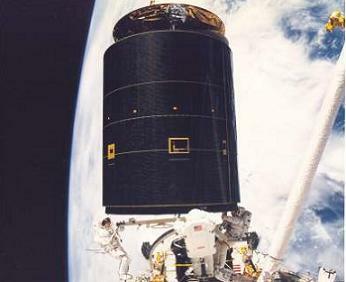 During the third of these three satellite-capture attempts, Endeavour set her second, third, fourth, and fifth firsts/records of her mission: the first mission to require multiple (three in this case) rendezvous with an orbital spacecraft; the first and to date only time an EVA was conducted involving three people; the first and to date only time a live rocket kit was attached to a satellite in space during an EVA; and the longest single EVA in history to that point – a record which stood for nine years. 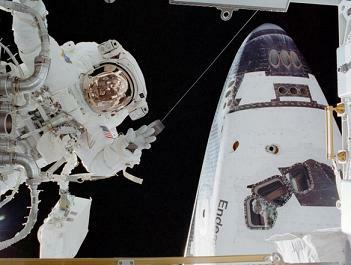 With yet another spacewalk the day after Intelsat VI’s capture, Endeavour set her sixth and seventh records of her maiden voyage: the first time a single Space Shuttle mission featured four EVAs – a record at the time – and the longest cumulative EVA time for a single Space Shuttle mission at the time. To cap off her multiple record-setting maiden voyage, Endeavour returned to Earth on 16 May 1992 to Edwards Air Force Base, CA where she set two more records: the first use of a drag chute upon landing and longest maiden voyage of a Space Shuttle orbiter in Shuttle Program history. Endeavour went on to fly the STS-47, STS-54, and STS-57 missions before taking up her role on what can arguably be considered the first of her two most important missions: STS-61 – the mission to save the Hubble Space Telescope. During the course of the 11-day marathon mission in December 1993, Endeavour’s crew performed 5 back-to-back space walks (a feat that has only since been equaled, never broken) to bring Hubble back to life and correct its vision. The mission was a smashing success, and Hubble began beaming back its iconic, awe-inspiring, and crystal-clear images of the cosmos a few months later. Throughout the rest of the mid-1990s, Endeavour conducted the STS-59, STS-68, STS-67 (her longest mission at 16days 15hrs 8mins 48secs), STS-69, STS-72, STS-77, and STS-89 missions, the latter of which being her one and only trip to the Russian MIR space station. And thus the stage was set for the beginning of Endeavour’s greatest feat: the International Space Station. Tasked with the honor of being the vehicle to begin construction of humanity’s permanent Low Earth Orbit settlement, Endeavour lifted off on 4 December 1998 on the STS-88 mission. During the 12-day mission, Endeavour’s crew mated the Unity module to the Shuttle’s Orbiter Docking System (ODS), rendezvoused with and grappled the Zarya module, mated the two modules together, and conducted two spacewalks. After completing all mission priorities, Endeavour undocked from the newly formed International Space Station – becoming the first vehicle to undock from the ISS even though she never technically docked to the Station on this mission. Endeavour went on to deliver the ISS’s first set of power generating solar arrays on STS-97, a mission that saw her become the final launch and entry space vehicle to fly in the 20th Century. Beyond this, Endeavour also holds the distinction of being the first American crewed spaceship to fly after the September 11, 2001 terrorist attacks (STS-108) as well as the last Space Shuttle orbiter to successfully complete a mission (STS-113) before the tragic in-flight breakup and loss of Space Shuttle Columbia and her STS-107 crew. In the aftermath of Columbia, Endeavour was upgraded with the same safety modifications as her remaining two sisters, Discovery and Atlantis. 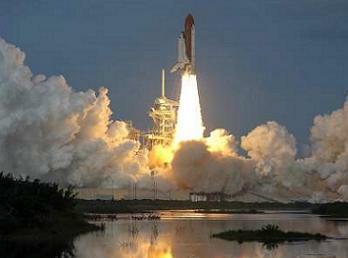 Launching for the first time after Columbia on STS-118, Space Shuttle Endeavour – Shuttle orbiter Challenger’s replacement – carried Barbara Morgan to space. Morgan had previously served as Christa McAuliffe’s backup to the ill-fated Challenger/STS-51L mission. 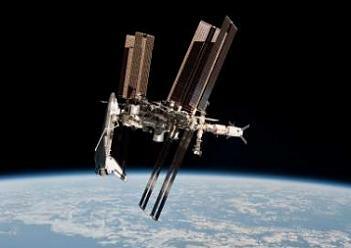 Thus, with Endeavour, NASA finally realized the goal of placing a teacher in space. In the post-Columbia era, Endeavour became the first Space Shuttle orbiter to make use of the SSPTS (Station-to-Shuttle Power Transfer System) and the first Shuttle to use a functional, three-string GPS positioning system in a non-Detailed Test Objective scenario for real-time, in-flight use. She set the record for longest-stay of a Space Shuttle orbiter at the International Space Station, became the only Shuttle orbiter to land on the shorter, narrower, temporary Runway 4 at Edwards Air Force Base, CA, and served as the potential rescue ship for her sister Atlantis’s STS-125 crew when they launched in May 2009 to the Hubble Space Telescope. 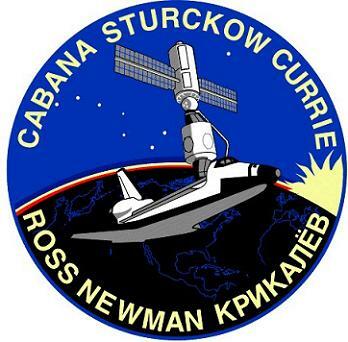 She further became the final Shuttle orbiter to suffer a weather-related launch delay in the 30 plus year history of the Program during her STS-130 launch campaign. Just like her maiden voyage, Endeavour’s final flight was a long, complex, and awe-inspiring flight. Launching into history on 16 May 2011 – exactly 19 years to the day after she landed to conclude her maiden voyage – Endeavour departed the Kennedy Space Center to deliver the final round of external spares as well as the premiere scientific experiment to ISS: the Alpha Magnetic Spectrometer -02 (AMS-02). 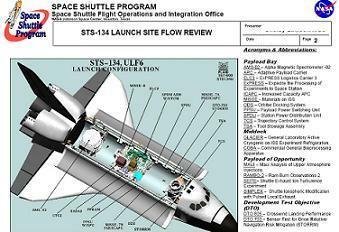 STS-134/Endeavour was the 165th crewed U.S. spaceflight, the 134th Space Shuttle mission, the 109th post-Challenger flight, the 36th Shuttle flight to the ISS (Endeavour’s 12th), the 25th and final flight of Endeavour, the 21st post-Columbia flight, and the first and only Shuttle flight during which a Space Shuttle orbiter was photographed from space while docked to the International Space Station. STS-134/Endeavour further marked the final spacewalk to be conducted by a Space Shuttle crew, the final time an international astronaut flew on the Space Shuttle, and the use of the final External Tank to be delivered to the Kennedy Space Center from the Michoud Assembly Facility in Louisiana. 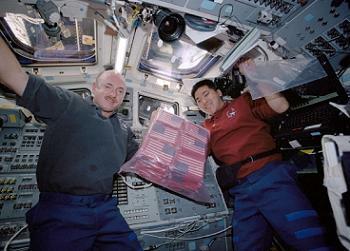 It was also the final all-male crew of a Space Shuttle mission and the only all-male final flight crew of a Space Shuttle orbiter (Challenger and Columbia included); the final flight of a major European Space Agency payload element on the Space Shuttle; and the delivery of the final major payloads to the ISS by the Space Shuttle. But more importantly, delivery of AMS-02, the spares on ELC-3 (Express Logistics Carrier 3), and the attachment of Endeavour’s Orbiter Boom Sensor System to the ISS marked U.S. Assembly Complete on the International Space Station – making Endeavour the vehicle that both began (STS-88) and finished (STS-134) construction of the ISS. And just as her maiden voyage was the longest first flight of a Space Shuttle orbiter, so too was her final voyage the longest, final planned flight of a Space Shuttle orbiter. On 1 June 2011, after 19 years 24 days 6 hours and 55 minutes of service, the British-named Endeavour eased to a stop on the Shuttle Landing Facility at the Kennedy Space Center. Like her sailing ship namesake of the 18th century, the Space Shuttle Endeavour never faltered in her mission to expand our understanding of the scientific frontier. 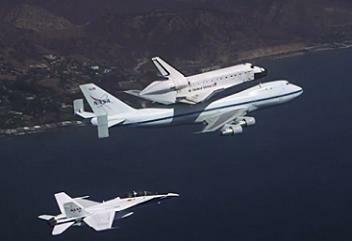 From saving the Hubble Space Telescope, to broadening our knowledge of maneuverability in space, to her innumerable scientific studies and experiments, to the knowledge she gave us about the contours of our home planet, and to the International Space Station (which will be one of her longest-lasting legacies), Endeavour constantly took us to new and unprecedented territories. Over 25 missions, Endeavour spent 299days 3hrs 19mins in space; completed 4,671 orbits of Earth; traveled 122.8 million miles; deployed 3 satellites; performed 12 space station dockings (11 to ISS and 1 to MIR); performed one space station module rendezvous and grapple; and safely carried 148 crewmembers to the shores of the final frontier. She was, and will be for countless generations to come, a ship that inspires pride, awe, the quest for knowledge, and the determination to pick ourselves up and continue forward when adversity would rather us surrender. Endeavour, in simplest terms, was our hope for a new tomorrow. an era when humans regularly explore the space beyond the confines of our home world and push our boundaries of scientific knowledge and our quest of exploration. To Space Shuttle Endeavour’s engineers, her technicians, her launch teams, and her mission controllers – to all of the NASA engineers, all of the astronauts, the entire NASA workforce (including those contractually employed by Pratt & Whitney, Boeing, ATK, Lockheed, USA), and all those whose names we never heard but nonetheless worked silently and many times without recognition in support of a vehicle you whole-heartedly believed in – we THANK YOU for your unparalleled service, integrity, and work ethic. No words better describe the Space Shuttle orbiter Endeavour – the baby of NASA’s fleet. What she has done will always be remembered and honored. To the good ship Endeavour, we give you our heartfelt thanks and gratitude. It is the last time we write about you. But we will never forget your accomplishments, or above all, what you represent.